Project upcycle was a two month long collaboration with Central Community Development Council. When the CDC approached us with the idea of holding workshops to encourage community residents to embrace upcycling as part of their daily lives, we immediately reached out to two Makers who take environmental issues very seriously – Susan Ong and Priyanka Gupta. Together with the Makers, we put together a three workshop series on Making to Upcycle. During the first workshop on fabric upcycling, we stretched the boundaries of what consitutes fabric and how fabrics can be upcycled. This included teaching participants how to sew electronics and how fabrics can be made from plastics by fusing plastics with an iron. We also tried to level up participants by encouraging them to use the sewing machine. We were very encouraged by the participants, especially the young children and families, who jumped right in and wanted to do advanced sewing like sewing zippers. 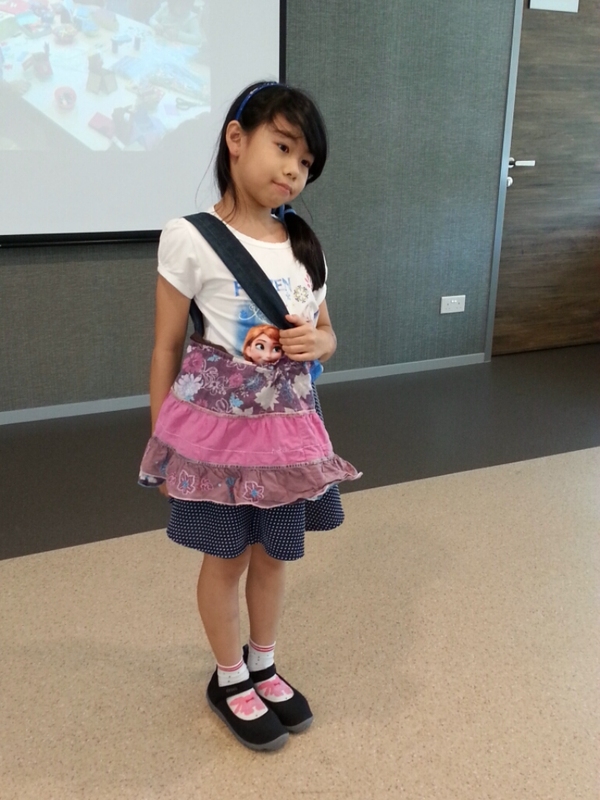 This little girl as so proud that she was able to upcycle her old skirt into a handbag. After fabrics, we moved on to paper. While participants were taught skills like quilling and paper circuits (We had a number of LEDs left over from the laser pointer mutilation spree of the SSEF pop up Makerspace in early March), they were also free to experiment and make what they wanted. 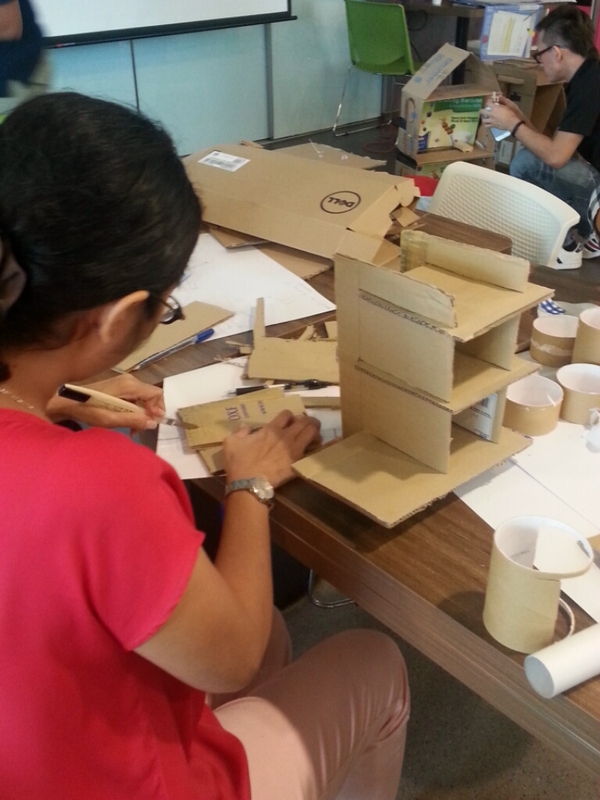 Perhaps the most crazy of the workshops was Making with Cardboard. 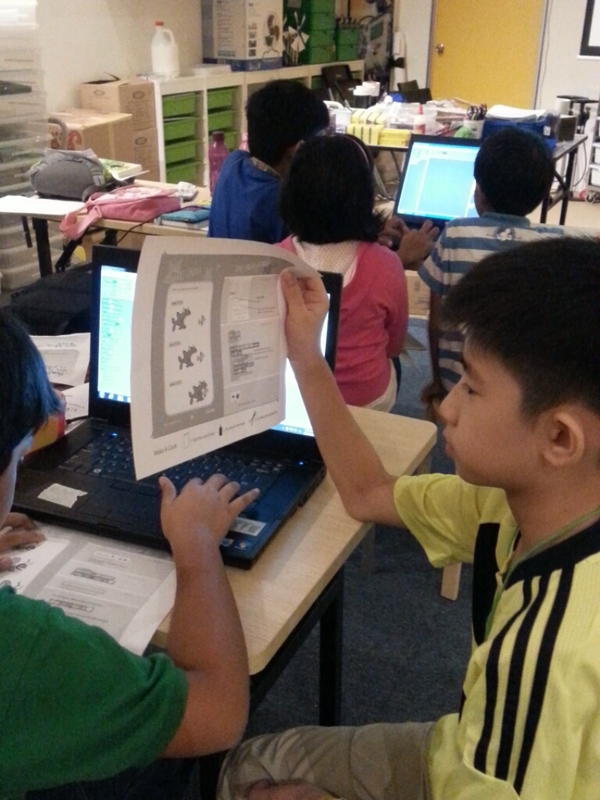 We brought in our heavy tools and workbenches, jigsaws and drills, as well as a laptops. The cardboard workshop was also very ambitious in that we wanted to observe how the participants stepped up to the use of equipment. 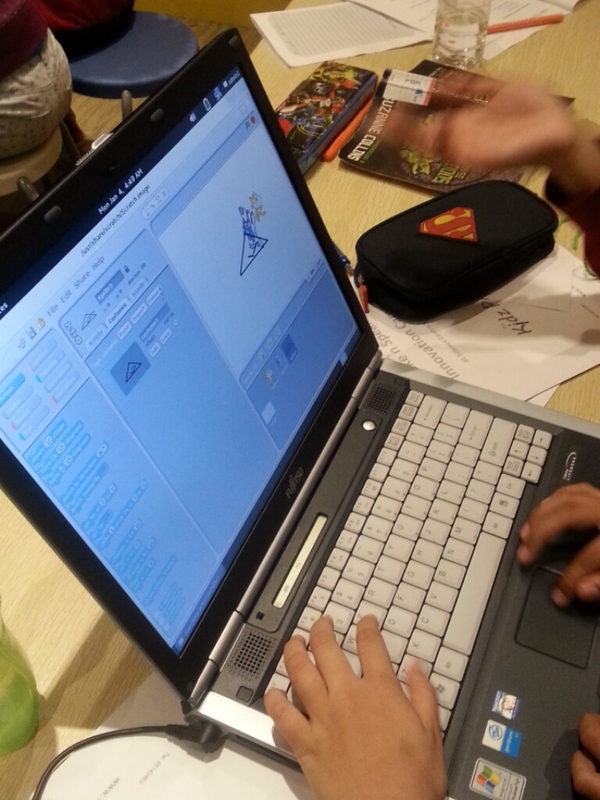 Adrian Curic had setup a station to also teach some Autodesk 123D and pepekura. 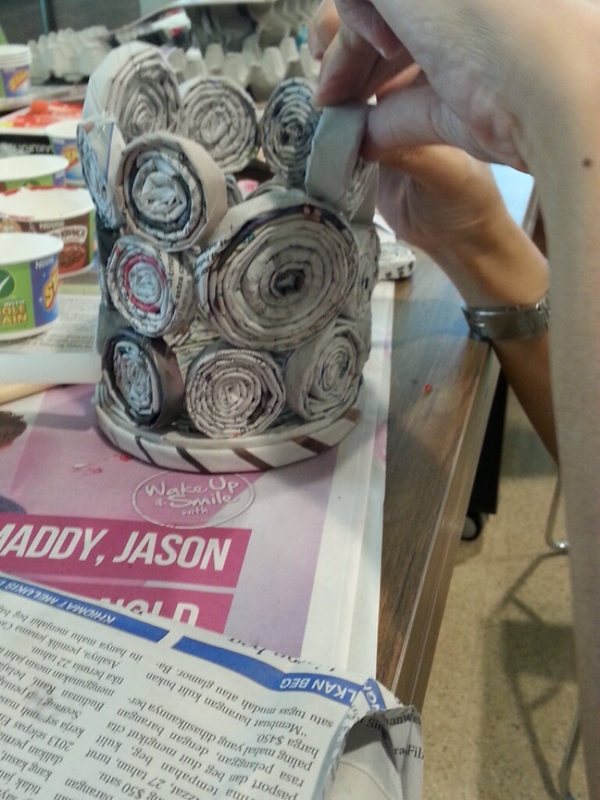 The workshops allowed us to work with participants of a wide age and ability range. A large number of seniors worked side by side with children and families. 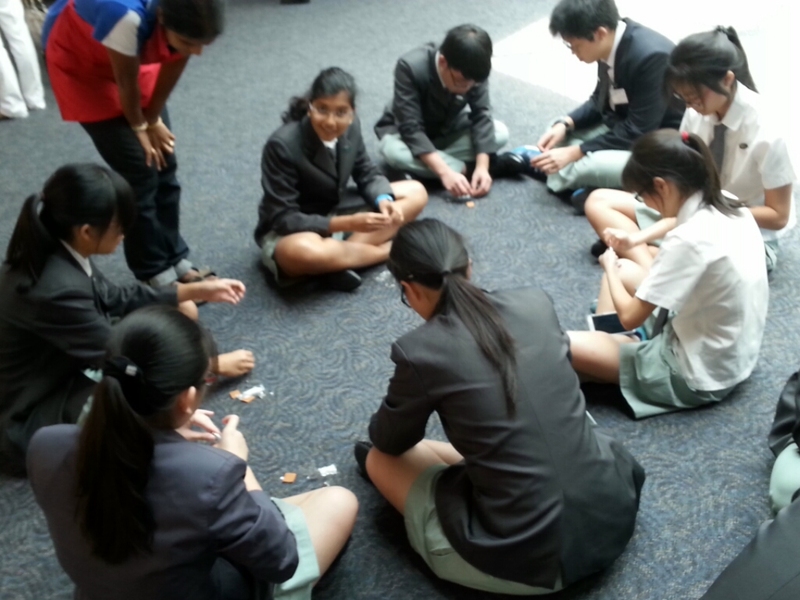 In some ways, the workshops were also an experiment for us to identify what constituted a good activity. Instead of a workshop of step by step instructions, we divided the workshops into Skill stations and Making areas, giving the participants an option to move to skill stations when they needed with pick up a new skill. This gave rise to several interesting observations. 1. Families and children were more enthusiastic about jumping in and learning to use different tools. We had children as young as eight who wanted to sew zippers upon their first time using the sewing machine, as we had kids who wanted to use the jigsaw to heard to cut thick corrugated cardboard. 2. Showing examples to participants can be both good and bad. Often, it depends on the kind of example. Funnily, we observed that the lousier the example, the more creative the participants are. Its like they are one-upping the facilitators and they can make something better than the facilitators, and that always feels good! 3. Interestingly, when we gave templates or examples which were perfectly done, certain groups of people simply wanted to follow the example given. 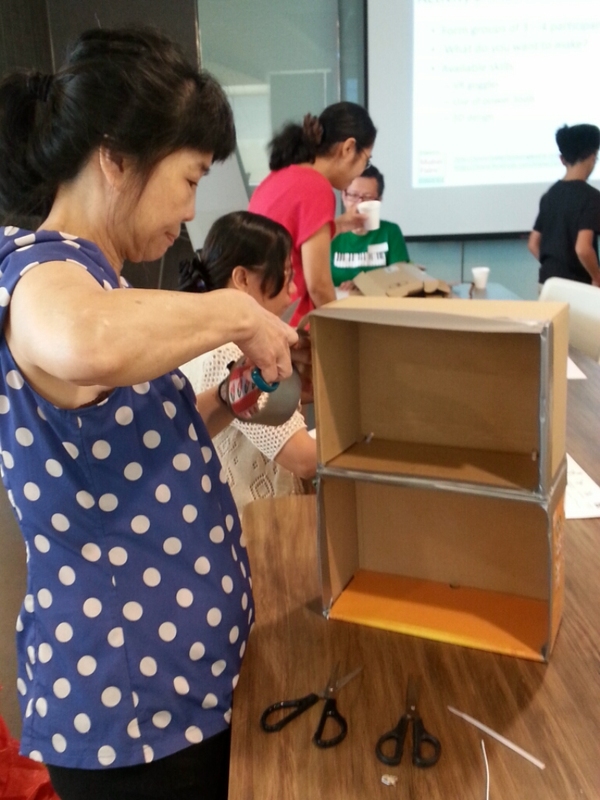 For the Making with cardboard workshop, we had gotten the google cardboard templates along with us for people to understand that something as simple as cardboard and Daiso lenses can give rise to a Virtual Reality experience. 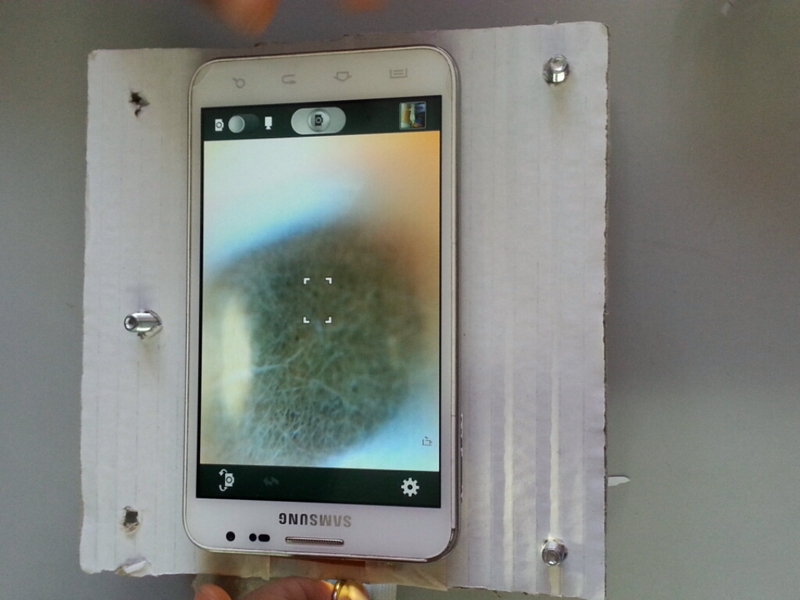 However, some participants simply wanted to follow the template and make their own VR goggle. 4. Leaving things loose and limber allows for more creativity. We structured the workshops such that after the introduction, the Makers left their samples on the front and did a quick introduction to the possibilities. After this, the participants were given the freedom to walk around, play with the skill stations, or straight away jump into their project and learn the skills as they went along. This worked much better than structuring the learning separate from the Making and gave participants the opportunity to experience learning on demand. The Maker Faire Singapore team has been excited about the elevation of our Maker Faire status from a “Mini” event to a “Featured” one. Leading up to the event that will happen on 11 & 12 July at 15 Tampines Street 11, we will continue our practice of showcasing our participating makers . The first to be featured this year will be Mr Ng Pan Yew, coincidentally the first maker to be featured for Singapore Mini Maker Faire 2014 as well. Recapping the year 2014, Mr Ng jokingly commented that he has over participated. Well, I think not everybody can do that, and it is in itself an achievement. 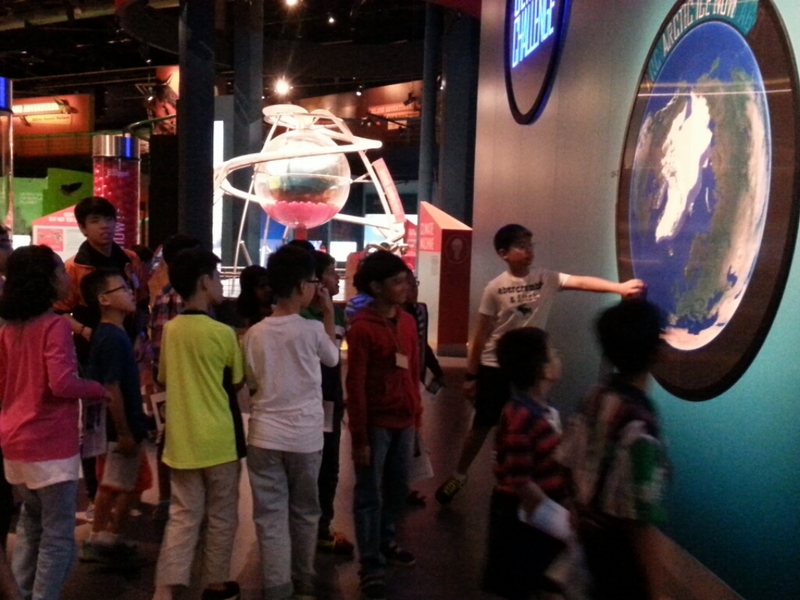 Despite being his first year taking part in a Science Centre programme, Mr Ng has been most enthusiastic. He started with two workshops in April and June 2014, leading up to the Mini Maker Faire itself in July where he not only took a booth to showcase his works, but conducted two workshops as well to teach people how to make their own Kaleidoscope and Roly – Poly. 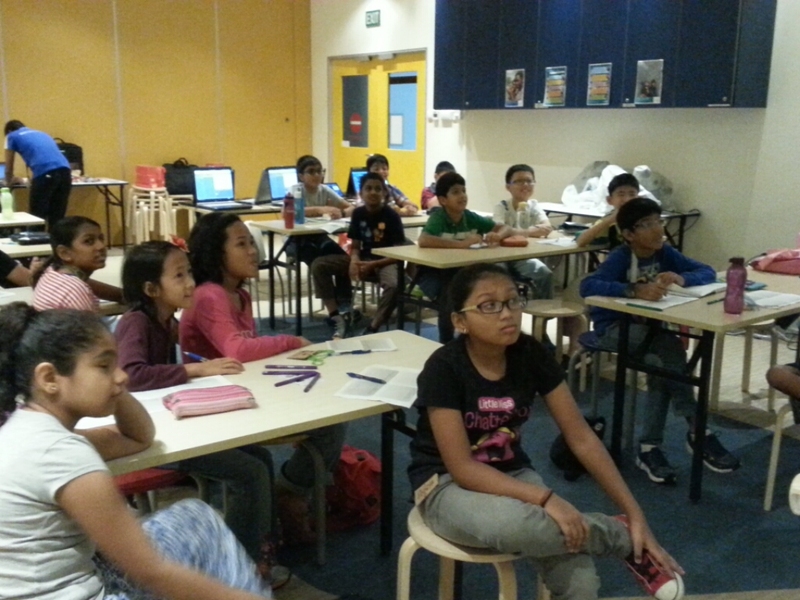 Mr Ng was very reflective of the activities he conducted. “Frankly speaking, my successful rate for lead-up event or mini workshop is only 50%”, he said. He explained that not everything turned out to be what he expected them to be. He noted the challenge to come up with interesting activities for 7-12 year-old children and to use materials which are easily available. 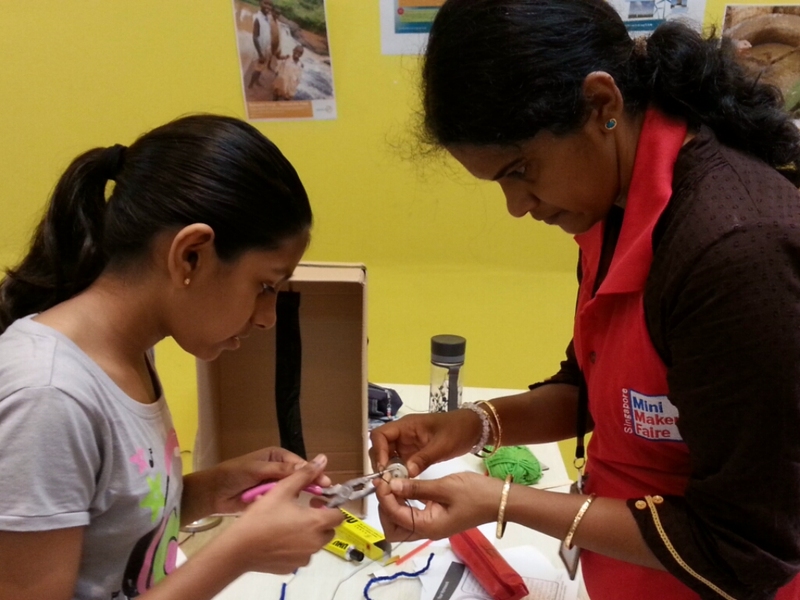 Participating in the Singapore Mini Maker Faire became a family affair for Mr Ng. Together with his wife, Mr Ng and their two grown-up daughters carried out the workshops and explained to interested visitors about Mr Ng’s showcase at the event. Mr Ng also took the opportunity to thank his wife and two daughters, who assisted him patiently during his workshops, helping him with facilitation, photography and publicity. Such a sweet gesture! We asked Mr Ng for advice for first time participants, and he encouraged new makers to try to form a team to work together as there are challenges working alone. For his case, he single-handedly take charge of 2D-drawing, laser cutting, laser engraving, electronics circuit design, PCB art-work and the sourcing of affordable resources. Mr Ng also highlighted that it is inevitable that hardware-intensive hobbies incur higher cost compared to software-based ones, so new makers would need to be aware of such cost issues. 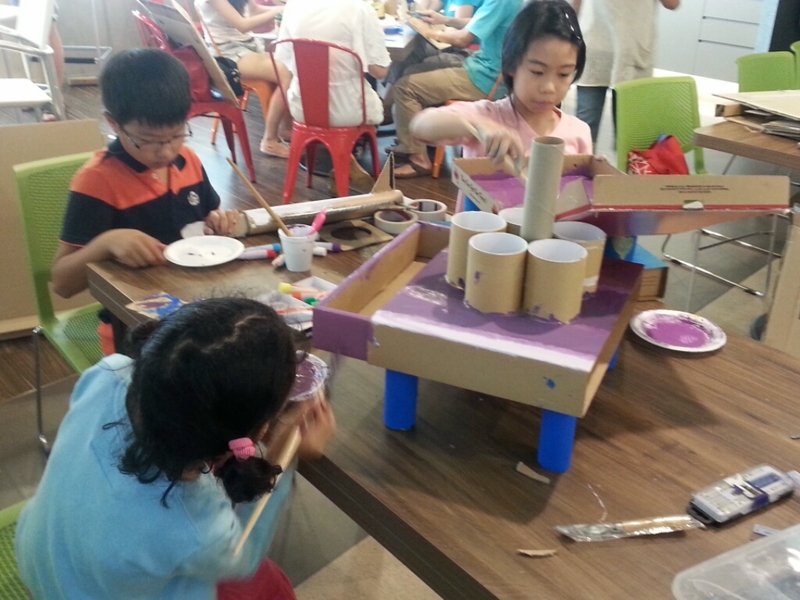 For the upcoming Maker Faire in July, Mr Ng is working towards expanding his acrylic showcase. While he will keep his previous display (Supertrees at Gardens by the Bay, Esplanade, etc), he will also be adding the Helix Bridge, the Marina Bay Sands, the Singapore River Bumboat and more! Interested to find out more? Mark your calendar for 11 & 12 July and drop by 15 Tampines Street 11 Singapore 529454 to speak with Mr Ng in person! For the period of May to August 2015, in collaboration with Ars Electronica, Science Centre Singapore will be bringing in exhibits specially curated by a stellar line up of creative contemporary artists for its mid-year Blockbuster Exhibition. The exhibition will take on the overarching theme of Digital Interaction and promises to be a truly visceral journey. Ars Electronica Linz GmbH is an Austrian cultural, educational and scientific institute active in the field of new media art, founded in 1979. 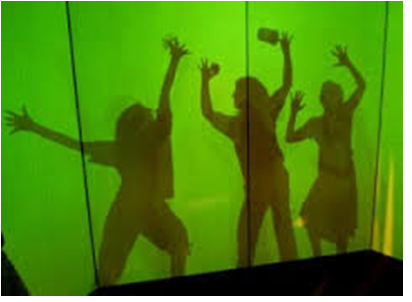 It is based at the Ars Electronica Center, which houses the Museum of the Future, in the city of Linz. It is probably the most famous institution in new media. 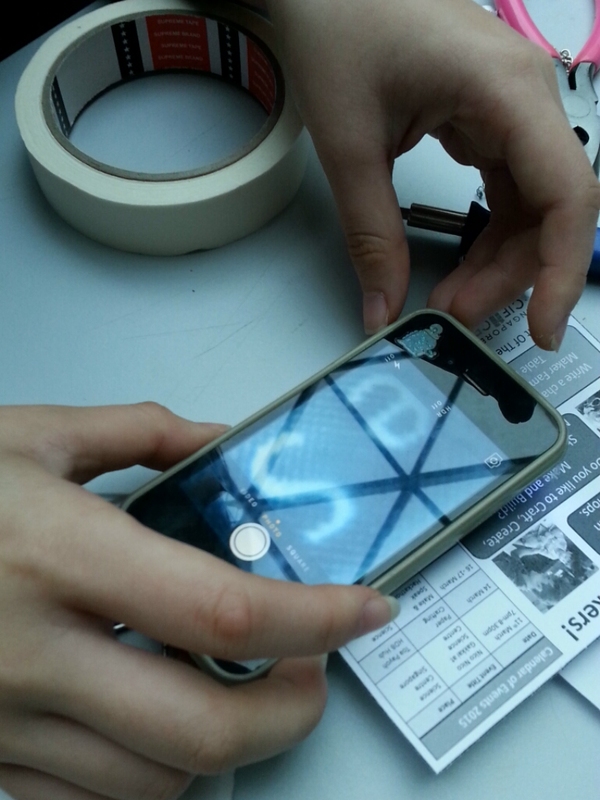 Ars Electronica’s activities focus on the interlinkages between art, technology and society. It runs an annual festival, and manages a multidisciplinary media arts R&D facility known as the Futurelab. It also confers the Prix Ars Electronica awards. 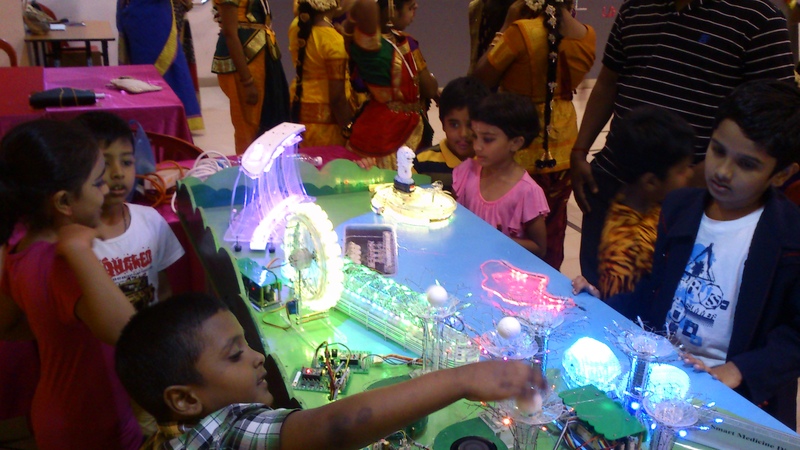 The Science Centre is currently seeking for interactive works in the form of installations which will be part of the exhibition at the Science Centre. The works should have a focus on interactive media systems that have an innovative technological concepts blended with excellence in science, art and/or design. We are also encouraging works which have harmonious parts of content and interactive technology, with a focus on human usability, and expanding the scope of media for use in human society. Selected works will be offered support for the travel and exhibition costs. This support may not cover the entire cost of travel and exhibition costs, depending on the nature and expense of the work. Open Call submissions must be showcased for the whole duration of the exhibition. Firstly the vortex cannon. The idea of pushing a larger volume of air through a smaller hole creating a gush of air is the basis of the Making of a vortex cannon. The fun part was when we brought in the fog machine and filled our vortex cannon with fog. Now when we hit the vortex cannon or pressed the sides of the vortex cannon we could literally see the smoke rings. 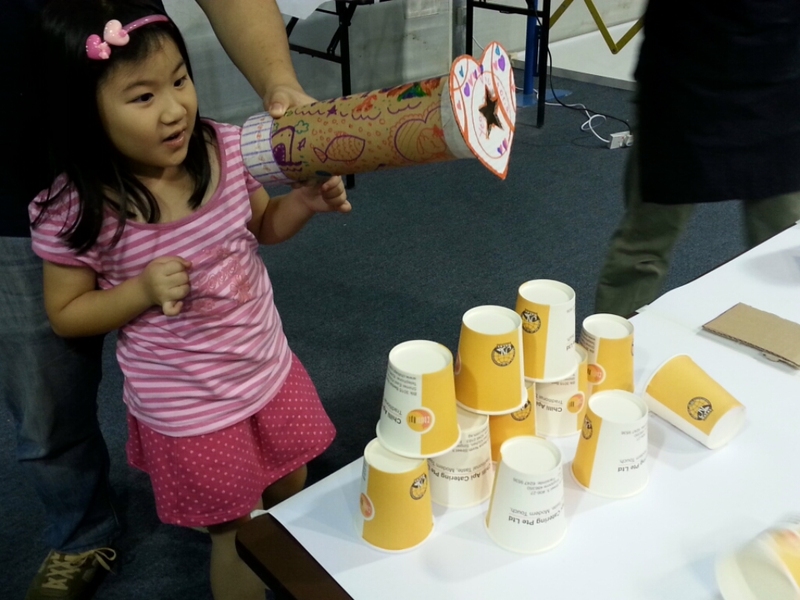 We played “blowling” with our vortex cannons and paper cups. And of course, we had very interesting and creative variations the kids came up with. Father and Son thinking of ways to Make a different Vortex Cannon. We were especially busy during the Making Toys and Games workshop as we were also hosting crew members from the channel 8 show, Junk convertors. 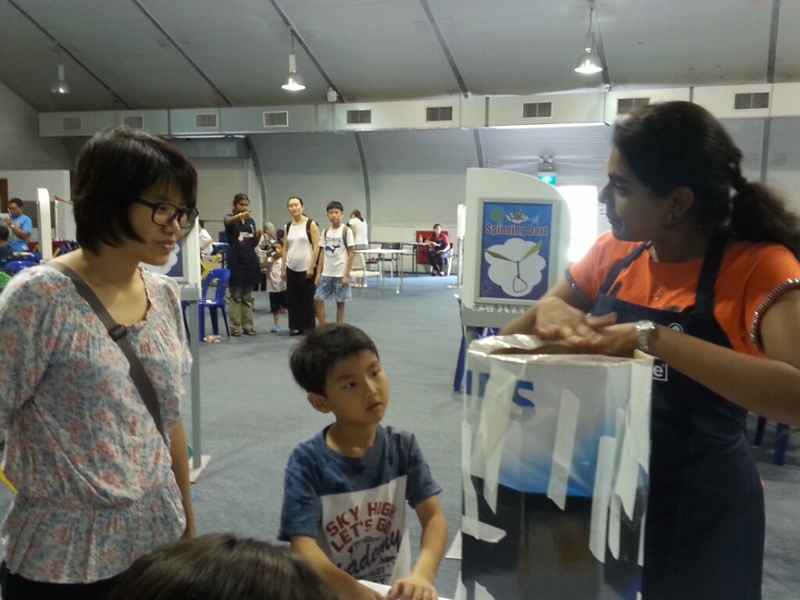 This is the second time Maker Faire team is putting up a Pop Up Maker Space at the Singapore Science and Engineering Fair held in Science Centre on the 11th and 12th of March. I must say that it attracted so much crowd, especially on the second day, since the judging was over and students were much more relaxed and free. 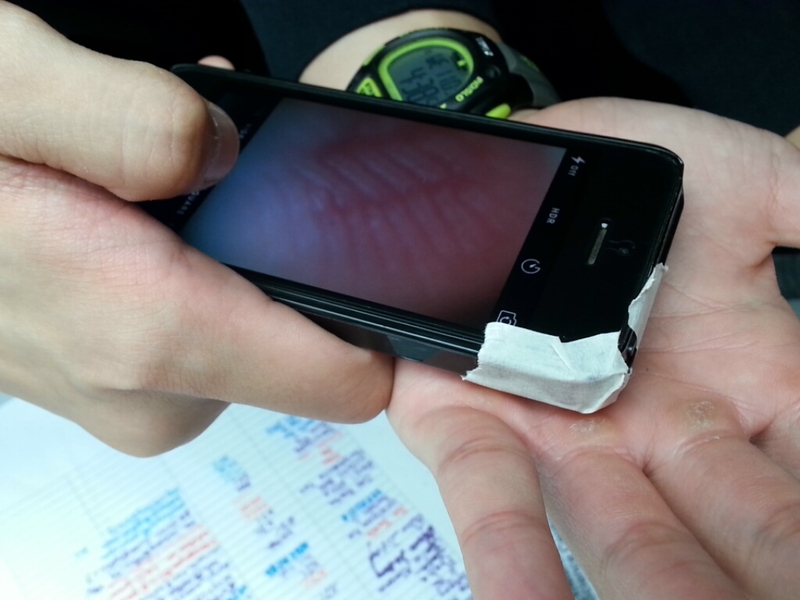 Yasu made mircowaveable origami, David Liew did Notebook Hacking, 12 Geeks did cool tech stuff and we made microscopes. Microwaveable origami, the name sounds cool right? 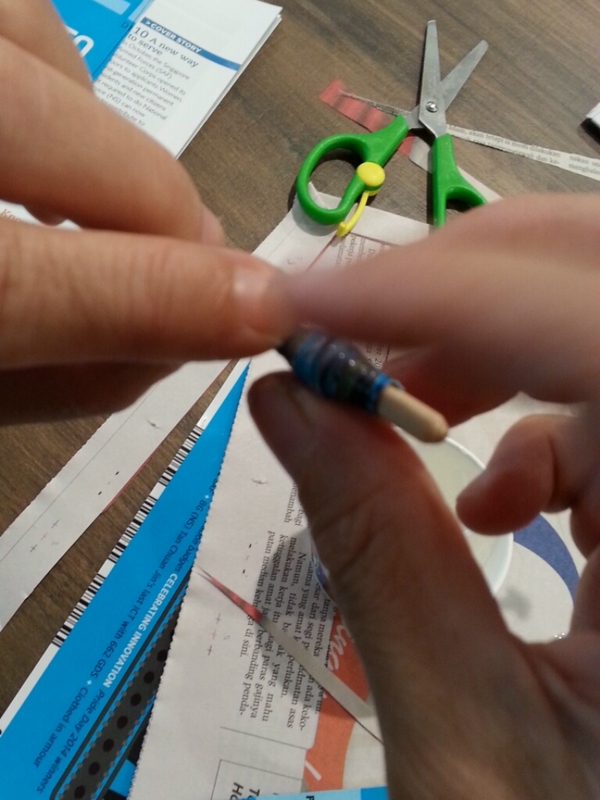 Bascially, you stick heat shrink tubing with thin strips of aluminium on paper wherever you want it to be folded. Then you place it inside the microwave and the heat shrink tubing shrinks when heated, as the name suggests, and you get the shape you want! David Liew brought embossing machines, paper design cutters, various coloured ink pads etc and students were to emboss their book cover or cards and decorate it with any of the provided materials. It was up to their creativity. 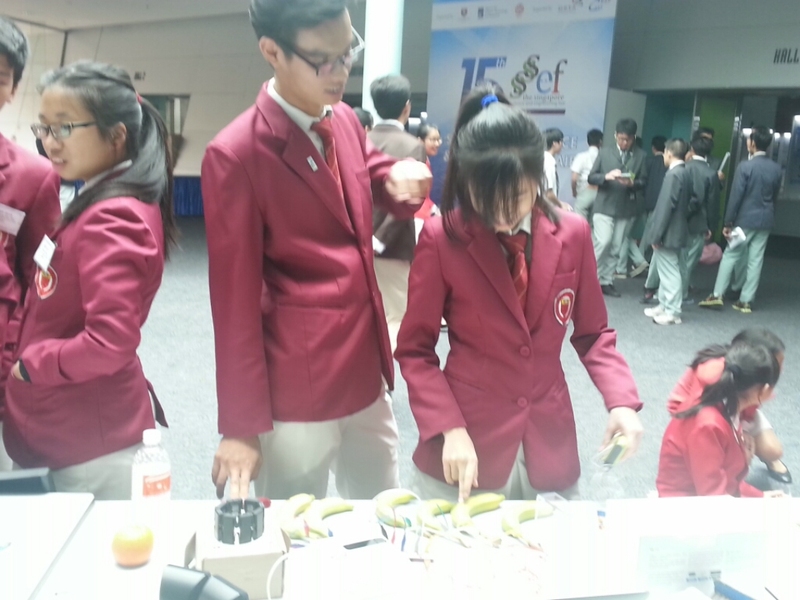 Luther and Fazli brought bananas which played music! Actually they connected the bananas to Makey makeys and once the students touched the bananas the circuits were closed as their bodies are conductors of electricity. The Makey Makeys are connected to the Scratch software in the computer which is programmed in such a way that each banana makes a different sound (Doh, Ray, Me, Fah, Soh, Lah. Te, Doh). They also brought along a VR headset and students had the experience of virtual reality. It was also fun comparing the commersial headsets with a $2 version. Bananas can replace pianos (with Makey Makeys)? 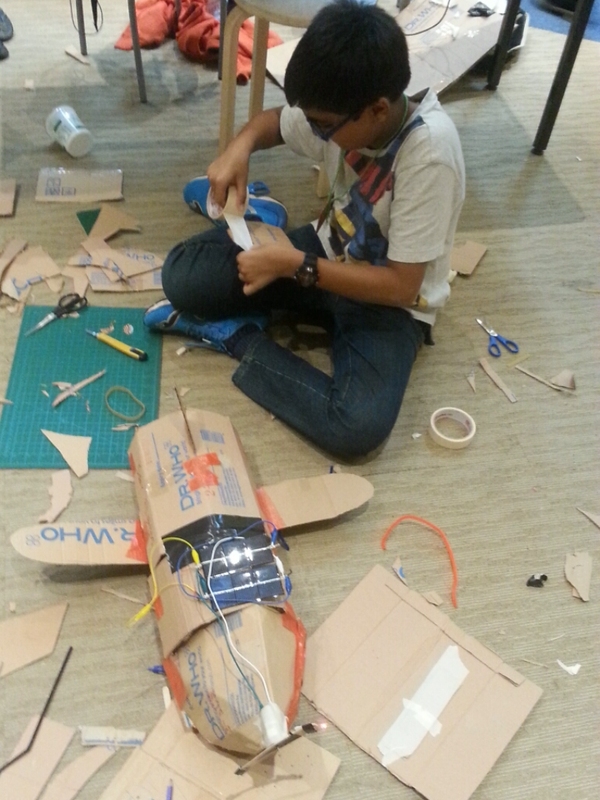 Science Centre Singapore collaborated with The Kidz Parade to organise a two days long Make ‘n’ Speak camp which was all about design thinking, and of course Making. The theme of the camp was sustainability. 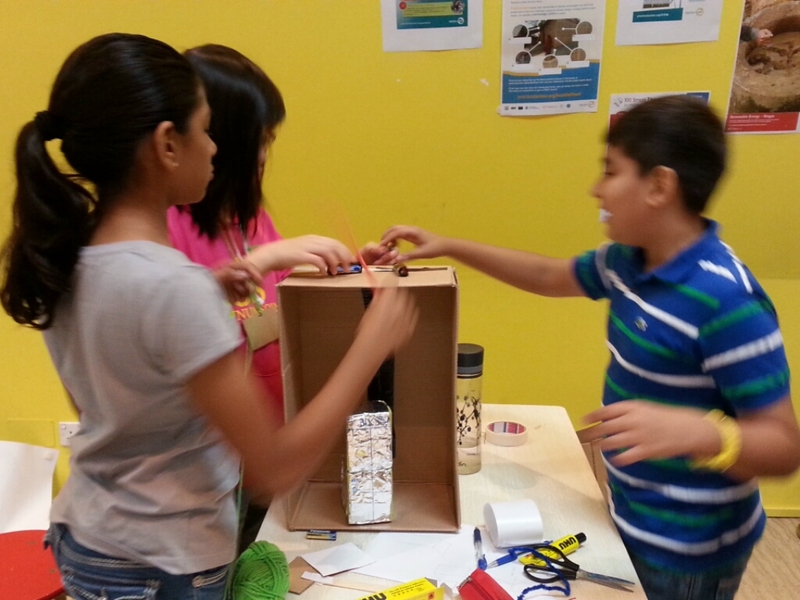 The main objective was for the kids to Make a prototype which allows life to be more sustainable. There were discussions about how there should be lunar panels instead of only solar panels. Some kids talked about how water is being wasted and automatic taps and motion sensor taps were invented to decrease water wastage. Another group discussed about the waste of toilet paper because people wash hand and waste a lot of toilet paper and that led to the invention of hand dryer. Thats when one kid asked “Isn’t that a waste of electricty?”. Thats when the facilitators stepped in to explain to the kids that we compare which is more eco-friendly and cost-effective when we find solutions. We could tell that the children tried their best to think and also attempted to answer our questions instead of expecting answers from us. The usage of the Scratch software and Makey Makey was also taught to them so that they can incorporate that technology into their innovative inventions. They were also breifed on presentation skills such as acting confident even when one is nervous by not fidgiting and having eye contact with the audience rather than just looking in front. 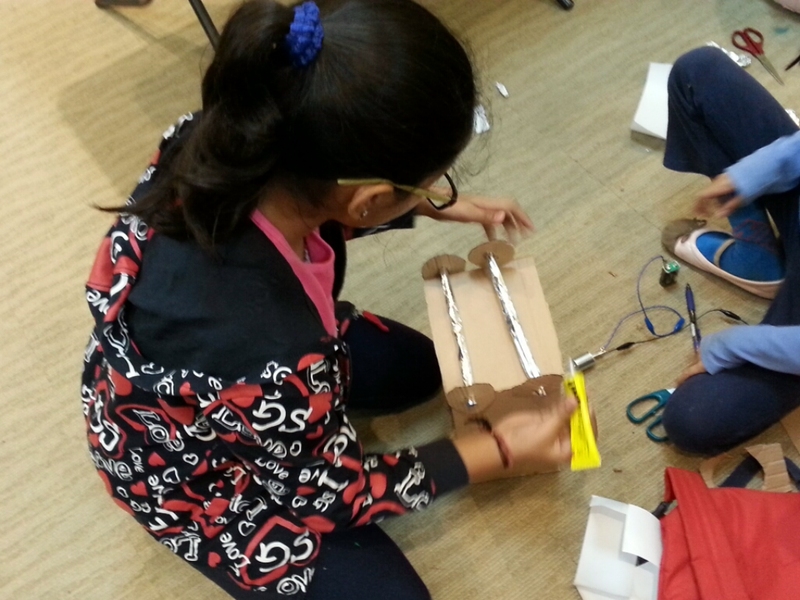 At the end of the day each kid had his or her own idea(a rough one at least) of the prototype they might want to make. The children were so brilliant! 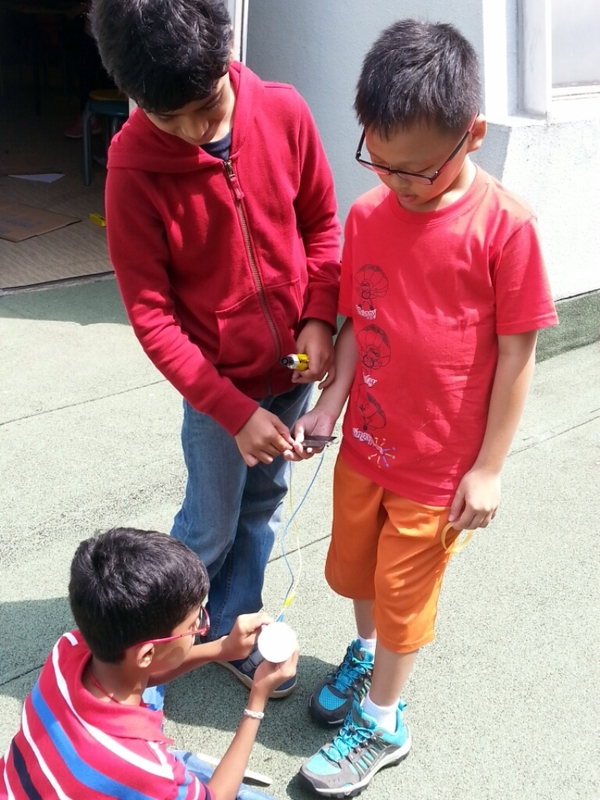 Many of them had to try again and again to make their propeller rotate using a DC motor, solar-powered gadgets work, enable to the car wheels to rotate etc. Some worked in a team very well while others had issues working as team because they were not open to suggestions from their fellow team-mates. But eventually they had to come to a decision and one had to give in to the other. We were also glad to see children being able to learn from failures, pick themselves up and think of another alternative. One or two groups felt that they did not achieve what they wanted to but they did not pull a long face. Instead they explained what went wrong and what could have been better with utmost pride of their own creation. When we said dismantle certain parts of your prototype because we need the solar panels, DC motors etc back, they were so sportive. They immediately did so and brought the remaining back home. 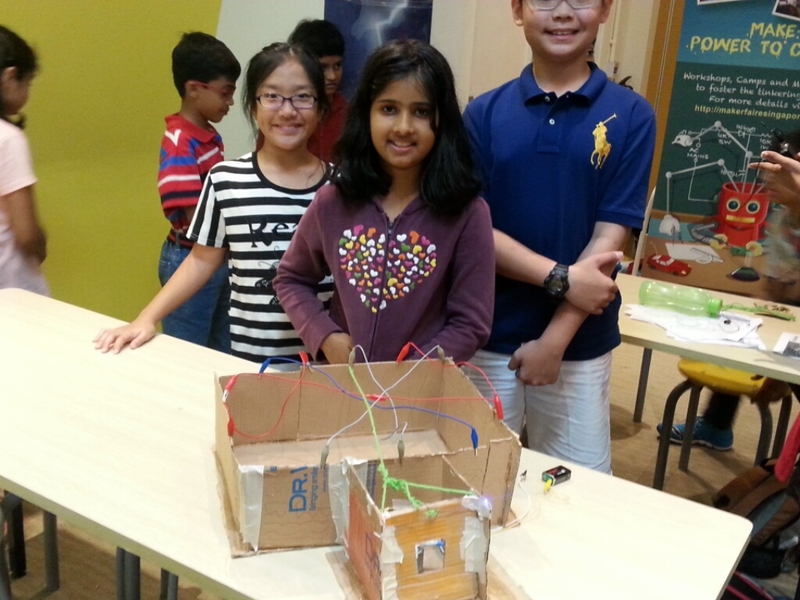 The tsunami causes the turbine to turn which produces current which is then transmitted to the houses through wires. Such a cute and creative idea.